Adventure calls, and this all-female team of heroes is ready to take on the challenge! 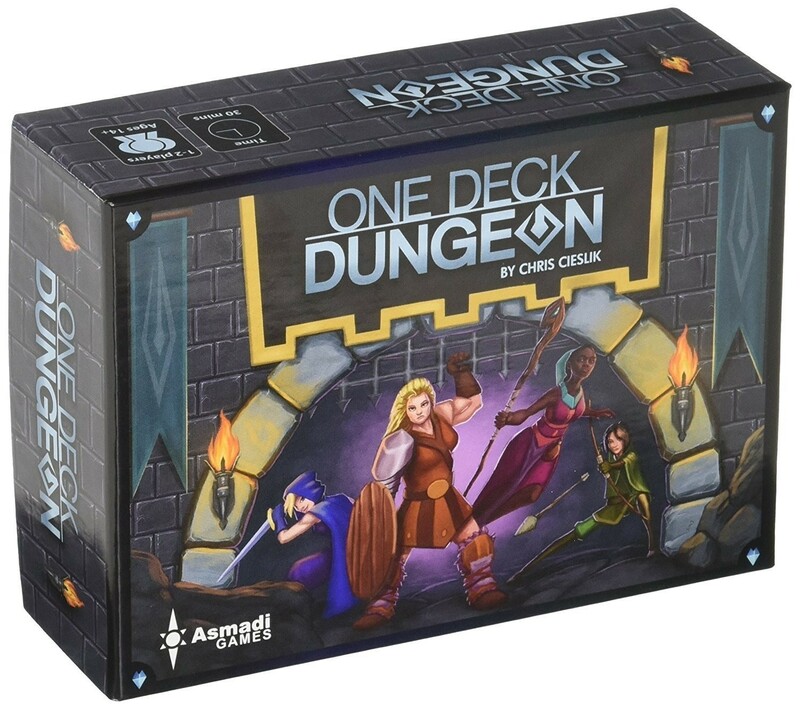 One Deck Dungeon lets you jump right into a dungeon delving adventure, bashing down doors, rolling dice, and squashing baddies with style. 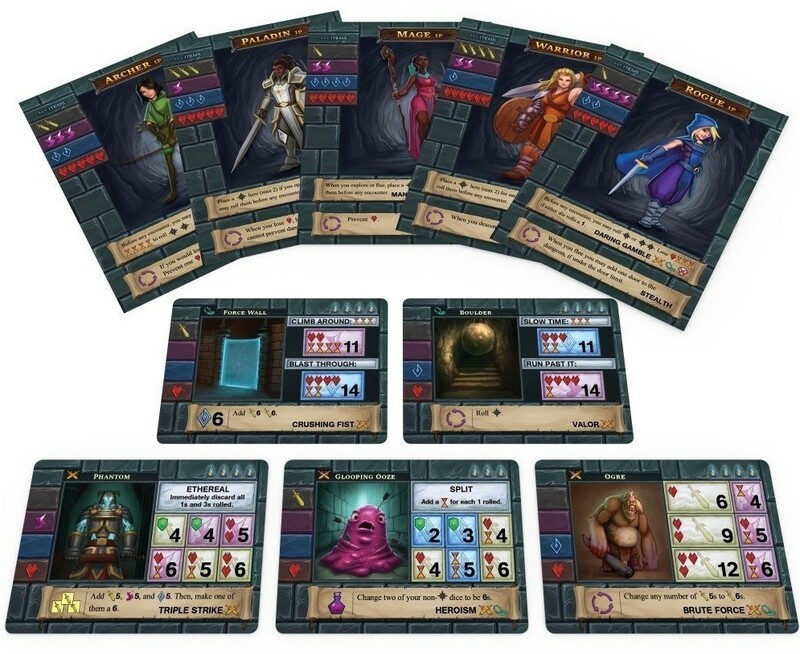 By using cards in four different ways (as an encounter, XP, a skill/potion, or a stat-boosting item), you get a large-scale adventure game in a compact package that you can explore alone or with a friend! 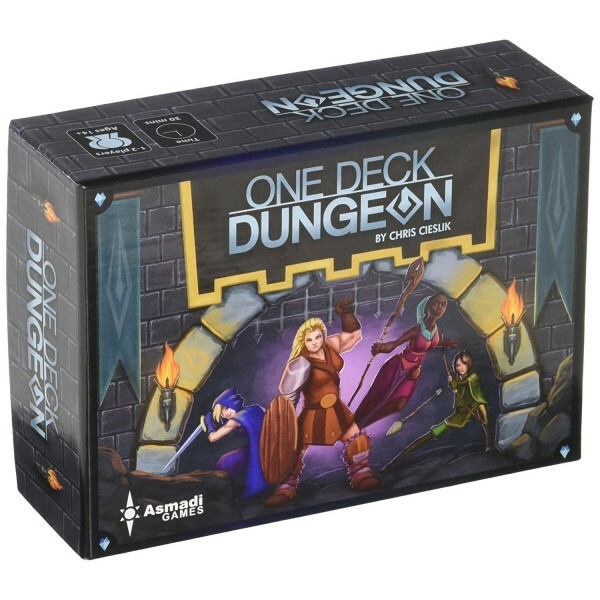 One Deck Dungeon is a tabletop version of the popular video game phenomenon of rogue-likes — dungeon delves where you try and survive as long as you can against increasingly nasty monsters. The game is very easy to learn, featuring intuitive dice mechanics and thematic skills and abilities. This game for 1 or 2 players takes approximately 30 to 45 minutes to play.